The fresh start attitude means that stagnating water, and its effects, are removed quickly and thoroughly. So, you are never left with bad odors or mold. Once we find the damage, then we can make calculated moves such as cutting only the affected drywall out. In a case like that we would then treat the space with a solution that eliminates bacteria and mold spores. This means that when you return home you will find not a whiff that an accident ever occurred. Everything is going to be okay, trust us. Just give us a call and we will be out there fast with the solution that you are deserving of. Ongoing from February and March, and then from June to September, Newell residents may experience a large volume of precipitation. Therefore, in these times of the year, the homeowner should check to see that the top of their homes are properly leading water away from it. When water hits your roof, the shingles make is so they swish directly into the gutters on the outer edges, therefore being allowed to drain down. Now, the things to check are end caps, and fascia brackets. If any of those are damaged, then the water will not retain, and it will run down onto the surface sides of the home. This will eat away at paint and cause damage to the exterior of a house. If these things are intact, then they will keep water where it needs to be in order to make it to the downspout. Furthermore, if there is any leaf litter in there, then water will pool. After the fall, make sure to clean them out. A way to make this easier is to install guards. They are a wired mesh material that keeps large debris out, so when it comes to maintaining them it is easier. Now, a guard will aid in keeping the downspout running smoothly, as it will keep clogs from forming their too. In the inspection of it, ensure that the elbow (the opening at the base of your home) is pointed outwards and clears water at least 3 feet away. Following these tips will ensure that your roof does not leak, and that your attic or insulation does not become soaked. If you notice any major wear-an-tear to the exterior, then water damage has already set in. In these cases, call 911 Restoration Charlotte. The water damage Newell team will be out to you fast, ready for repairs. Tim believes that, “everyone needs a second chance after a home accident.” So him and his water damage Newell team have trained relentlessly to bring that to all homeowners in need of one. 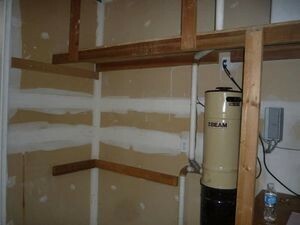 The IICRC certified courses they have undertaken has made them experts to everything within the scope of water damage. You get service from an elite group that is ready to tackle any bout of water you experienced. The tools are a close second because the knowledge they have from years of experience is what separates us from anyone else. For example, knowing where to look means that the underlying cause of damage can be remediated effectively, so that future problems never arise. If we see something like crumbling sheetrock, then we know there must be some hidden moisture. The use of infrared technology allows us to non-invasively peer into the wall. It appears to us as dark blue spots because water masks heat. We pride ourselves in bringing you a fresh start, and we think you should never wait for a resolution to the problems you are facing. 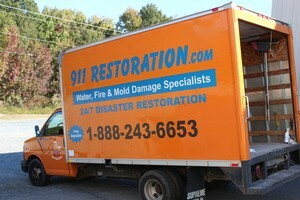 So, call our water damage Newell team with 911 Restoration Charlotte right now for the care you deserve today!